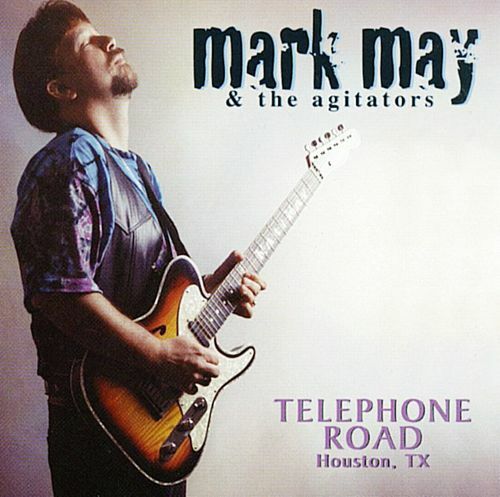 Blues-rock with a distinct Texas edge is Mark May's thing. His playing recalls various Texas legends like Johnny Winter and Albert Collins, while always skirting the rock speed-demon side of the musical equation. This outing finds him surrounded by his regular rhythm section of Dan Cooper on bass, Travis Doyle on organ and Greg Grubbs on drums. May shares guitar soloing duties throughout the album with Alan Haynes ("Don't Give Up"), Billy Wells ("Mercury Blues") and Larry McCray (an impassioned Albert Collins duel on their mentor's "The Lights Are On, But Nobody's Home"), producing fireworks with every trill and bent note. Also noteworthy are several tracks featuring the Memphis Horns, who shine brightly on "Icehouse Special" and the soul ballad "Took Me By Surprise." When May keeps his playing roped in and restrained, the musical results are well worth a second listen. The Memphis Horns: Andrew Love - Saxophone; Wayne Jackson - Trumpet.